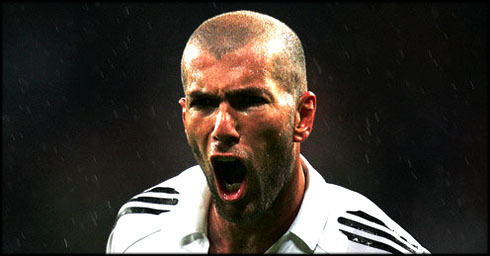 ﻿ Zidane: "No one should ever doubt about Cristiano Ronaldo's love for Real Madrid"
20.01.2012 » Zidane: "No one should doubt about Ronaldo's love for Real Madrid"
Still regarded as one of the best players of all-time, Zinedine Zidane currently works for Real Madrid as the club's Director of Football. This Friday, Zizou defended José Mourinho from the press attacks, that followed the loss against Barça and reaffirmed that Cristiano Ronaldo has his heart and soul in Real Madrid. The all-time legend of Real Madrid and former "Galáctico", Zinedine Zidane, granted a rare interview to the Spanish newspaper "As", where he defended José Mourinho from the recent critics and praised Cristiano Ronaldo for his contribution to the club so far. The Frenchman, who is currently Real Madrid "Director of Football", is known for not liking to talk with the press, but after the big wave of criticism aimed at Mourinho, coming from a Real Madrid loss against Barcelona for the Copa del Rey 1st leg, Zizou came to public to defend the Portuguese coach and his tactical choices for the Clasico, played at the Santiago Bernabéu. The former French playmaker, started the interview by justifying why he finally decided to talk with the journalists. Zidane: "I think that all these critics we've been hearing since the night of the game against Barça, are part of a campaign that is attempting to hit Madrid, it's coach and the club's players. I still can't understand most of the pretense tactical mistakes that people keep pointing to Mourinho. No matter what tactic you use, if your opponent is still one level above you at the moment, there's nothing much that can be done! 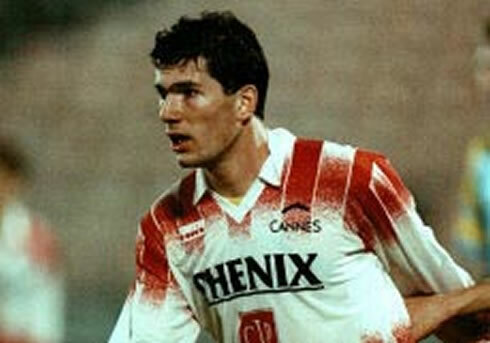 ", pointed out Zizou. Zidane: "Let's look at the facts, since at half-time, Real Madrid was leading the scoreline by one goal and everyone was happy with the outcome because we were beating Barcelona. I've been at the Santiago Bernabéu and I couldn't hear anyone criticizing Real Madrid tactics at that time. Before the kickoff, everyone was dying to know what line-up was Mourinho going to put on the pitch, but when the 1st half ended, everyone stood quiet because they realized it was actually working out. 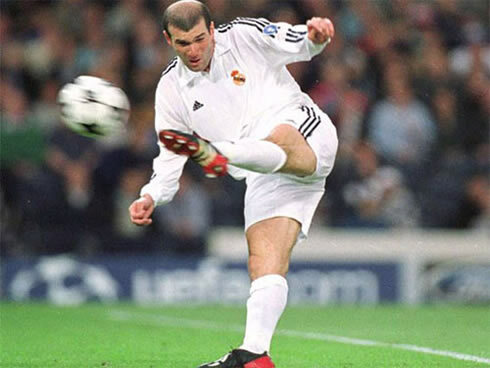 But then, we made an error in a corner kick when Puyol scored the equalizer, and that certainly affected the team a lot", said Zidane when sharing his view on what has been the game's turning point. There seems to be a general feeling that everytime Real Madrid loses to Barcelona, José Mourinho somehow also loses a personal battle in his flaming rivalry with Barça. However, few people seem to realize that these last years Real Madrid is facing their strongest challenge ever, as they are asked to continuously measure forces with the best Barcelona team in more than 100 years of history. Zidane is one of those few persons who realizes how huge and demanding this task is for José Mourinho and the current Real Madrid players, as he was keen to note it. Zidane: "What bothers me the most is having to hear this amount of critics towards the tactical system José Mourinho went with for this game. I would like to issue a challenge to all the football coaches around the World, by asking them what is the best tactic to come up with, in order to be able to beat this Barcelona team". Another flow of critics have been aiming precisely at the fact that Real Madrid should never play in a defensive way and that it's main concern should always be to play beautifully. 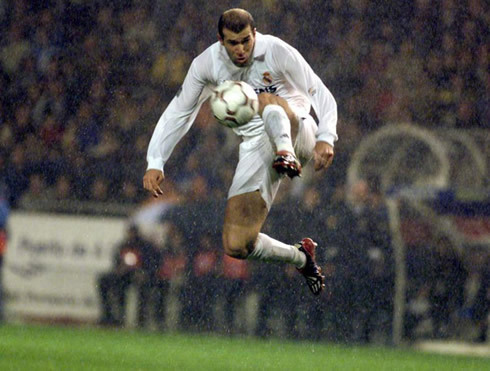 Zidane, widely known for his sublime football, skills and technique, disagrees with that view and says that a team has all the rights to adjust the way they play according to who is their opponent. Zidane: "There's a moment where the only beautiful thing in this game is winning. Everyone on this club knows that they have been hired to win, win and win. It's also true that a club such as Real Madrid needs to play beautifully, but given the circumstances, against an extremely difficult opponent, we just have to make decisions that we believe to be the ones granting us the highest possibilities to win the game. This last Wednesday night, we played with 3 forwards who are able to change the fate of a game in a single play. It's also true that we couldn't create fifty thousand goal scoring chances, but still, we created some good and interesting attacking moves. Sometimes, we just have to attempt winning first and only then concern about doing it in style. We also have the right to think that sometimes, we simply need to do everything we can to win a match, even if we're forced to sacrifice a few things in the way. That goes along in sports as it goes in life. Last Wednesday, the team strategically resigned to have the ball possession, just so we could find another way for the victory", outlined the Real Madrid director of football. The Frenchman would then conclude his thoughts. Zidane: "We prepared a strategy and it worked perfectly fine in the 1st half. A good long ball from Karim Benzema, followed by a great strike from Cristiano Ronaldo and goal! We took the lead. One of Real Madrid's strenghts is also the ability to play in counter-attack. It wouldn't make sense to ignore it and not make use of it now." Real Madrid coach, José Mourinho, is known for being a very controversial person wherever he goes. Since his arrival to Spain, the Portuguese coach has made many "enemies" among the press and Zidane believes that's one of the reasons why the "Special One" and also the club keep being a target of many fierce attacks, everytime there's a chance for it. Zidane: "I still don't get it why so many journalists keep criticizing Real Madrid and José Mourinho, when what happens is that they are only doing it because they have unsolved issues with our coach. How can we accept that people may even suggest that we should switch coaches? Is everyone crazy or what? When we have the chance of counting with a manager such as José Mourinho, a person who knows how to properly develop a project in order to make this club a lot stronger, attacking Mourinho is attacking Real Madrid! I go to the Valdebebas training center many times, and I see his daily work with the players. Everything he does is meant for the club to keep improving and to create the conditions to win. He's allowing this team to build a strong character and a big group spirit. I can assure you that everyone on the club, form the staff team to the players, are deeply involved and focused on being an important part of this project", noted the one of the former "Galácticos". Unsurprisingly, when asked if he would have liked to be coached by José Mourinho, the former French player didn't blink or hesitate. 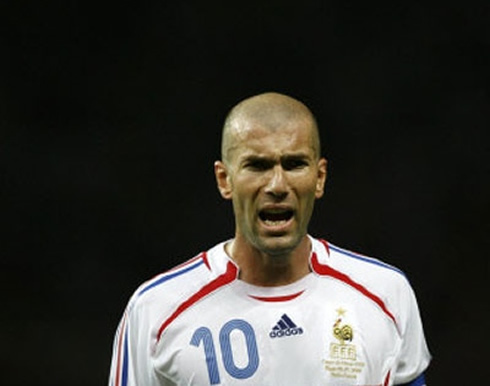 Zidane: "Of course I would, just like any other football player who has been coached by him. He's a tough coach, that's true, but he teaches players the true meaning of winning and what it takes to do it. He's a natural-born winner. People can dislike his methods, but I can assure you that he does everything in his power to protect his players, as he always has the right speech to put himself in front of the bullets when needed. I'm now lucky to be in a position where I can observe the work being done in Valdebebas and I can tell you, they've been doing a great job. 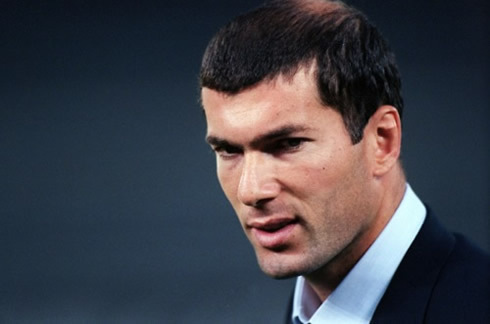 However, the reality is that we're going through a period where two great teams dominate football world-wide and one of them is still slightly better than the other... for now", remarked Zizou, assuming that Barcelona is at the moment, still better than Real Madrid. 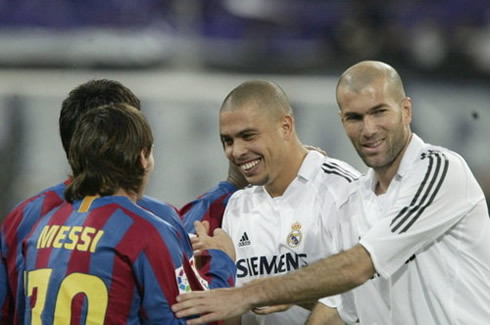 Regarding the incident about Pepe stomping on Lionel Messi's hand, Zidane understandably also chose to stand by his club's player, extolling his human qualities. Zidane: "Pepe is a player that behaves exemplarily whenever he's off the pitch. He's a great guy, a very educated person. However, when he wears the Real Madrid jersey and steps on to the pitch, he gets obsessed with winning and this anxiety of helping the team to reach the victory, leads him to make a few mistakes. It's obvious that he regrets his actions, but we have to understand that Pepe puts everything he has on the field and sometimes he gets very close to the limits", stated Zidane when defending Pepe. He then reaffirmed his support to the Portuguese player, in a contrast to those who keep suggesting that Pepe's conduct is not compatible with Real Madrid values. Zidane: "Those who claim that Pepe shouldn't be a Real Madrid player should look very carefully at what he brings to the team. Pepe, as any other player in our squad, is perfectly aware of what Real Madrid represents and he certainly respects it a lot. In the tension of the game though, he occasionaly loses his temper." Now that the press seems to be targeting more José Mourinho rather than Cristiano Ronaldo, Zidane still insisted on defending and praising the Portuguese player, certainly one of the club's most important assets. 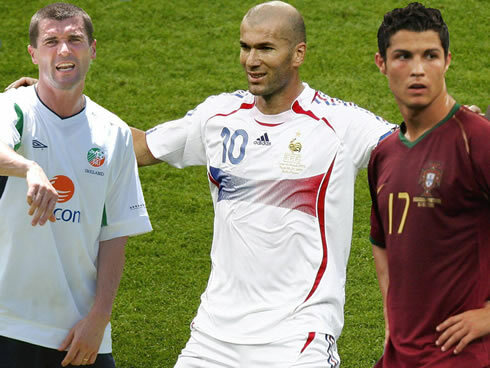 Zidane: "People need to realize who is Cristiano Ronaldo. He's a truly remarkable professional football player, who works like no other athlete. May no one doubt about Cristiano Ronaldo love and dedication to Real Madrid. It's a complete lie to say that Ronaldo is selfish", noted Zidane when assessing how important the Portuguese player is for Real Madrid, despite how many critics he may get. Regarding the last week incident, on which Cristiano Ronaldo didn't celebrate a goal after scoring in the Santiago Bernabéu, Zidane outlined the need of understanding that Cristiano Ronaldo has a very strong personality and that he has every right of not feeling in the mood of celebrating a goal, as it has been the case. Zidane: "What's wrong with not celebrating? Doesn't Ronaldo have the right to be upset in a single day? He's a person with a very strong character and he is very sensitive sometimes. We have to accept Cristiano Ronaldo for who he is, with all his qualities and flaws. And it's clear to everyone that he has many more qualities than flaws. 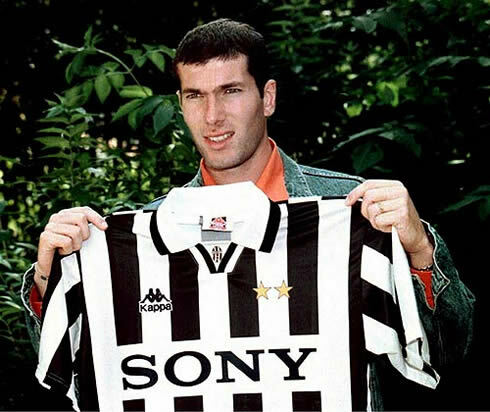 ", referred Zizou. Just before finishing the interview, Zidane also made a few comments on Karim Benzema's moment at Real Madrid, in the 2011-2012 season. Zidane: "Karim is now showing his talent. He works a lot and he finally understood that he is playing for the best club in the World. With the help of his coach and his teammates, he'll certainly keep developping, since he's still very young (24-years old) and the best of his game is still to come! 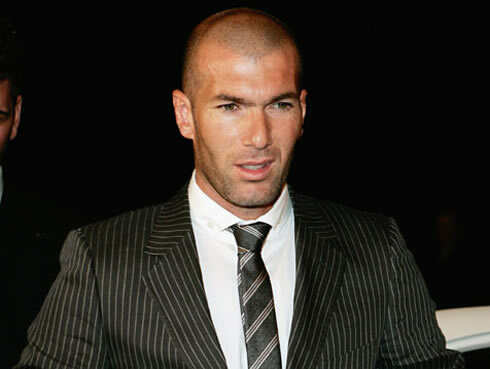 ", alerted Zidane, when previewing an improved Benzema version for the upcoming years. Real Madrid next game is against Athletic Bilbao for the Spanish League "La Liga", in the 22th of January 2012. You can watch Juventus live stream, Real Madrid vs Athletic Bilbao, as well as Bolton vs Liverpool and Norwich vs Chelsea from our football live streams section. Cristiano Ronaldo is expected to be a starter against Athletic Bilbao, next Sunday.